We make it easy to get your deal done. Please complete the form below and NPN will contact you to discuss your signing needs. One of the benefits of NPN’s national document signing services is that many of our notaries are also paralegals. 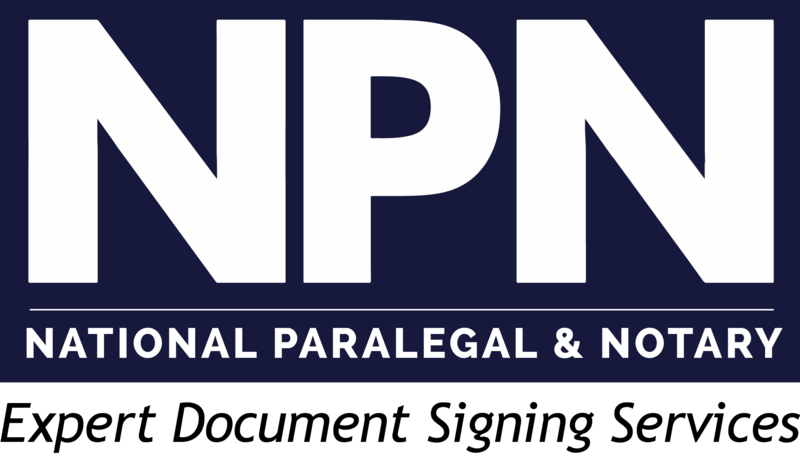 NPN started as a paralegal staffing company ten years ago and quickly noticed the paralegal/notary connection. With NPN, you have the advantage of using a notary who is also a paralegal to conduct your signing. We provide this service at no extra cost to our clients. Our proven methods make document signings simple and worry-free. National Paralegal & Notary can provide same-day service in most cases. We provide licensed and experienced notaries and offer national coverage. Your satisfaction matters. You get an account manager, not a file number. “We understand and respect the tremendous responsibility that our clients have placed in us. Our commitment to punctuality, preparedness, and the utmost in professionalism is second-to-none. Join NPN’s Growing Notary and Paralegal Team.